In 2015 Duncan set about redesigning one of their most popular yo-yos - the Freehand. Shown here is one of the 1st shots from the new Freehand Pro mold. Approximately 65 pieces were made, and nearly all were given by Duncan to Team members and partners. The prototypes had a slight vibration so the final yo-yo be retooled to give it different play characteristics. Included is an all white dice that is limited to the prototype run. 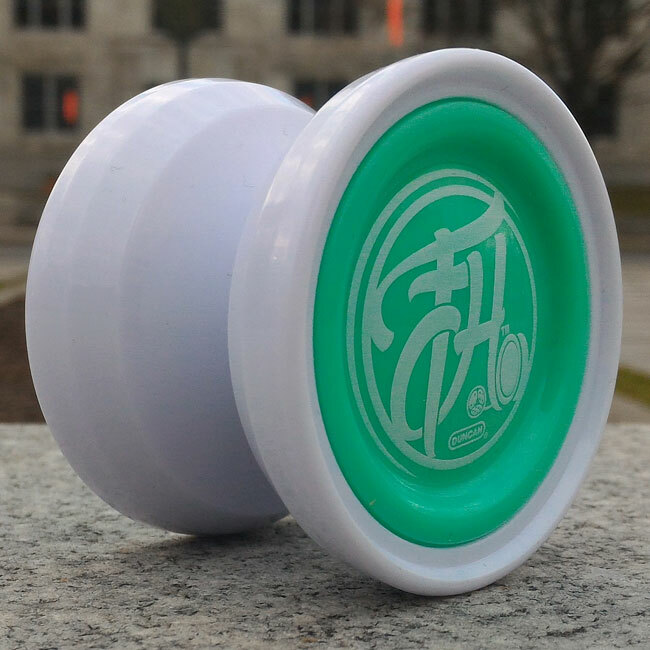 The Freehand Pro uses metal spacers and comes with a licensed Dif-e-Yo KonKave bearing. Special thanks to Duncan for providing this exhibit.